Students interested in a career in veterinary medicine should begin their preparation by doing well in general science and biology in junior high school. They need to take a strong science, math, and biology program in high school. Admission into veterinary medical school is competitive. In fact, many people would agree that it’s just as tough if not tougher to get into a veterinary medical school compared to a human medical school. Doctors of Veterinary Medicine and Veterinary Surgeons are medical professionals whose primary responsibility is protecting the health and welfare of animals and people. The term “Veterinarian” comes from veterinae, which means “working animals.” Every veterinarian has gone through extensive medical training for animals and has received a license to practice veterinary medicine. 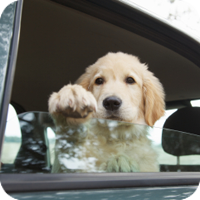 If your pet is not accustomed to car travel, take it for a few short rides before your trip. Cats should be confined to a cage or crate to allow them to feel secure and to avoid having a pet under your feet while driving. Stick to your regular feeding routine and give the main meal at the end of the day or when you reach your destination. Feeding dry food will be more convenient, assuming your pet readily consumes it. Dispose of unused canned food unless it can be refrigerated. Take along a plastic jug of cold water in case other reliable water sources are not available. Give small portions of food and water and plan to stop every two hours for exercise. Remember to include a leash with your pet’s traveling supplies. Air travel is of most concern to pet owners. You can minimize the chances of an unpleasant experience by following a few guidelines. Federal regulations require that pets be at least 8 weeks old and weaned at least 5 days before flying. Generally, a health certificate (which is not more than 10 days old) must be available before pets will be permitted to fly. A valid rabies vaccination certificate will also be required. Contact the airline well in advance for specific regulations and to secure your pet’s reservation. Try to book a nonstop, midweek flight and avoid plane changes if possible. During warm weather periods choose early morning or late evening flights. In colder months, choose midday flights. Arrive at the airport early, exercise your pet, personally place it in its crate, and pick up the animal promptly upon arrival. Do not take leashed animals on escalators. It may be stating the obvious, but always find out in advance if pets are welcome. If you will be staying with friends along the way, be considerate. Find out in advance if the pet is welcome. The same goes for hotels, motels, parks, and campgrounds. 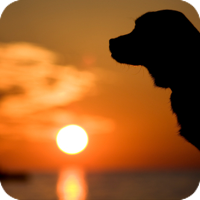 Always check whether pets are allowed or kennel facilities are available. If the pet must be left alone in a hotel room, place a “Do Not Disturb” sign on the door and inform the maid and the front desk. 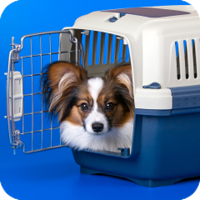 Consider bringing along a portable kennel for use in hotel rooms or the homes of friends or relatives who are not comfortable with your pet loose when no one is home.